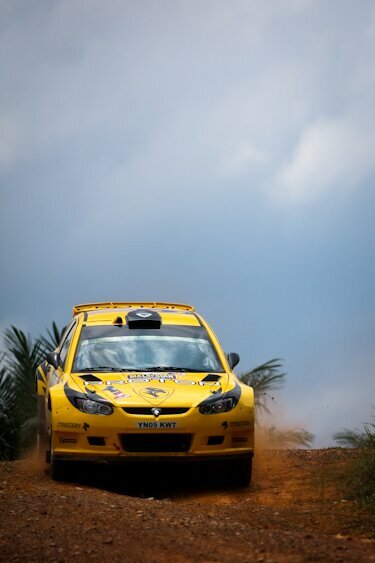 Proton Satria Neo S2000 tasted it’s first victory on home soil in the hands of Chris Atkinson after the Australian won the Malaysian Rally 2011, the first round of 2011 Asia Pacific Rally Championship (APRC) at Kota Tinggi, Johor. 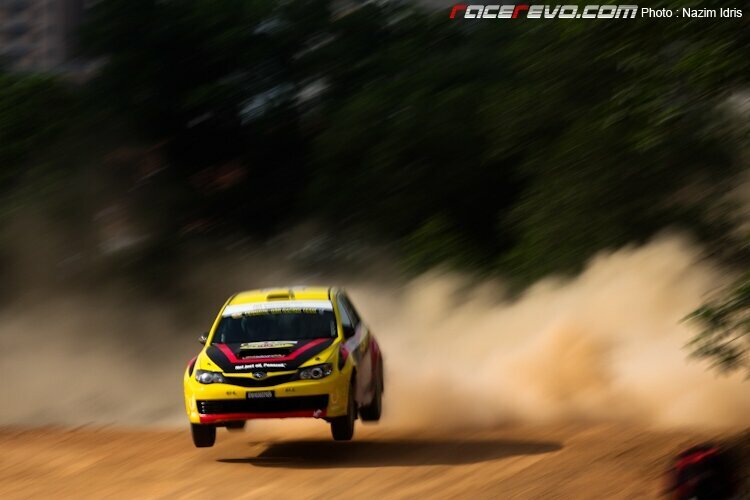 Leading the race after Day 1, Atkinson pace himself well throughout the second day and managed to holds off the challenge of Team MRF’s Gaurav Gill who finished second while teammate Alister McRae came in third. 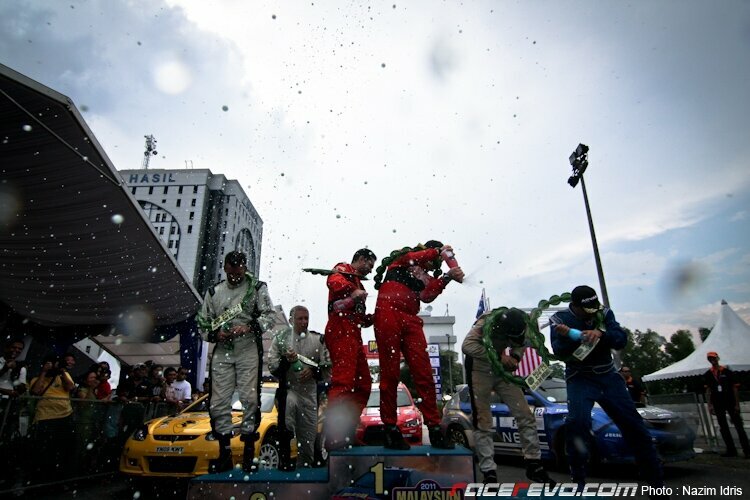 Atkinson celebrates his win on the podium. 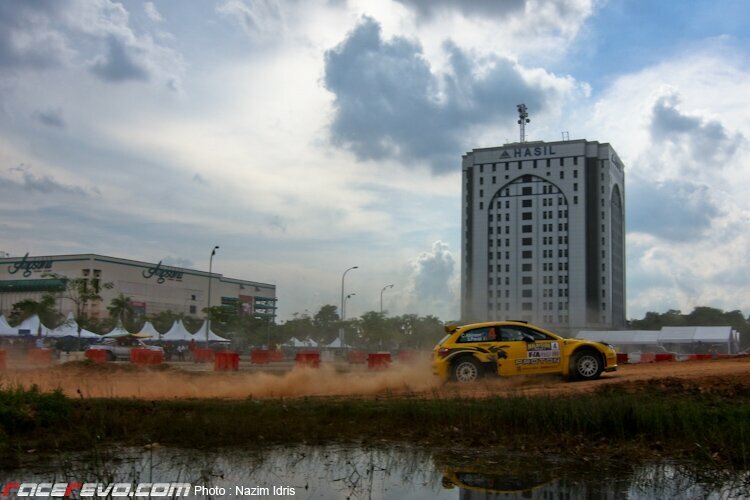 This was a bittersweet moment for Atkinson and Proton R3 Malaysia Rally Team. 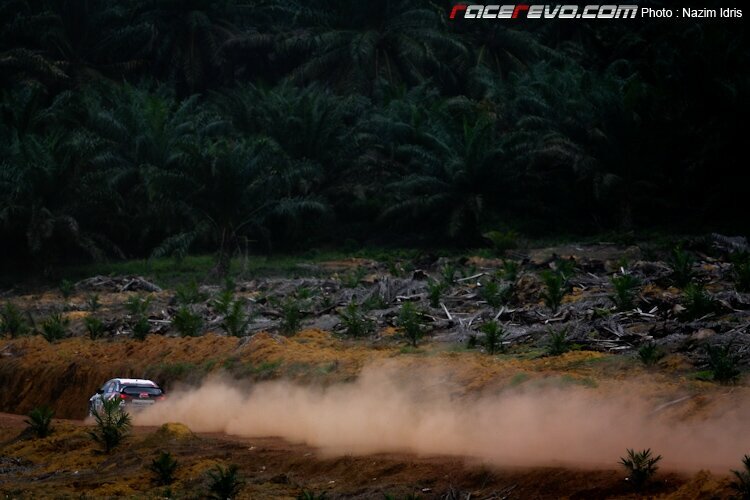 Not only they have achieved a one-three finish but finally triumphed in the difficult gravel course of Tai Tak palm oil estate for the first time since the Satria Neo S2000 debut back in 2009. 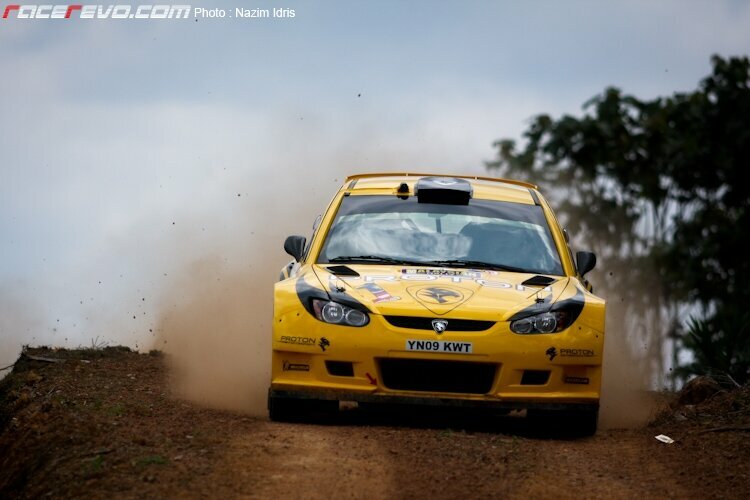 Winner of 5 out of 7 stages on Saturday, Atkinson swicthed his strategy on the final day to maintain his lead over Gill. With only two top 3 fastest time out of 7 stages on the timesheet, it was enough to see him through ahead of the Indian rally star. 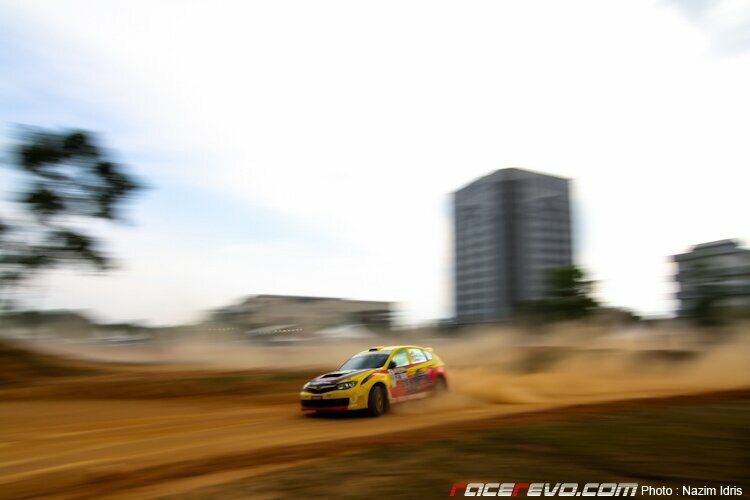 Atkinson and his co-driver Stephane Prevot finished the race over the two day competition in a total time of 03:14′ 49.3s. 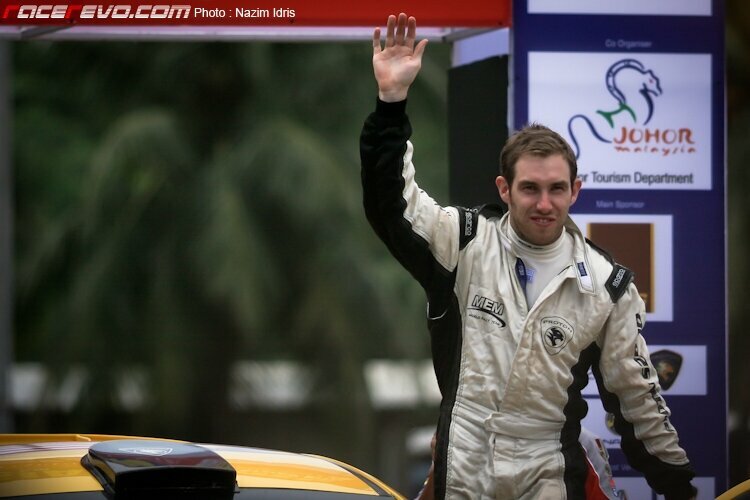 The win marks Atkinson first victory since joining Proton last year and it was also a significant results for Prevot as he celebrates the 300th rally of his career. Starting the day 2’10.4s behind in second place, Gill was driving hard to erase the deficit to Atkinson. 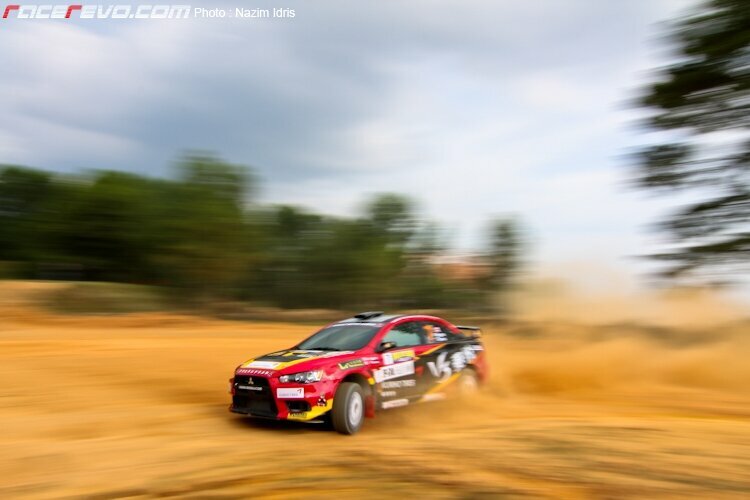 But he wasn’t fast enough to trouble the former WRC driver and only managed to close the gap to 1’46.6s. 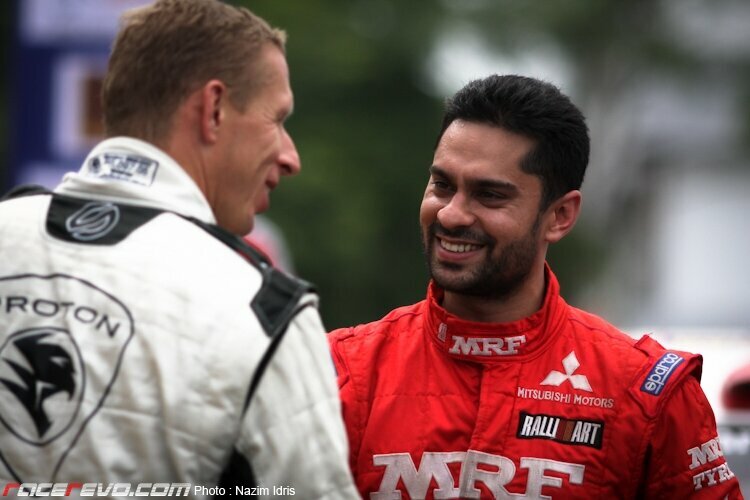 Alister McRae congratulates Gaurav Gill during the prize giving ceremony. This was the second time Gill had to play the bridesmaid in Malaysia after loses out to teammate Katsu Taguchi in last year’s edition. But no doubt that he will come back here next year to try shakes off the losing streak. 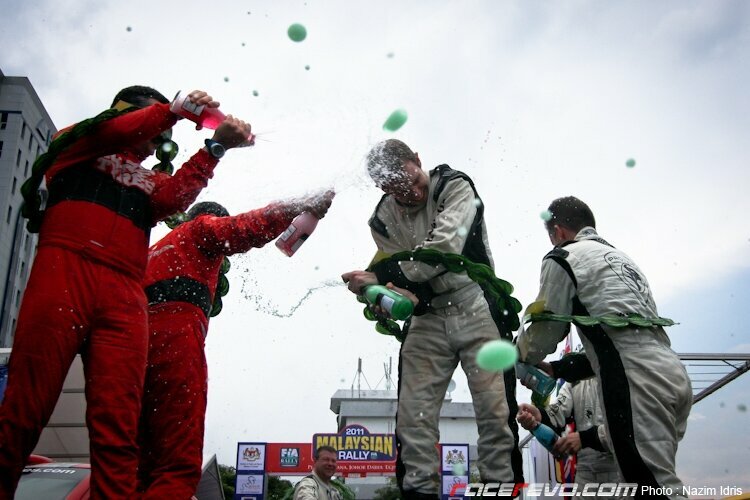 A small consolation was in store for Gill as he grabs the winner’s medal in Asia Cup category ahead of McRae and Team NENC’s Aki Hatano of Japan. McRae claimed the final spot on the podium, finishing around 8 minutes behind Atkinson. Slowed by overheating problems on Saturday, McRae had no problems negotiating the course on the final seven stages but the gap was so big to make up and had to settle for third. The results is still a good one for the former British Rally winner. He made up for last year’s disappointment when he retired with a damaged radiator while leading the race with 5 more stages to go. 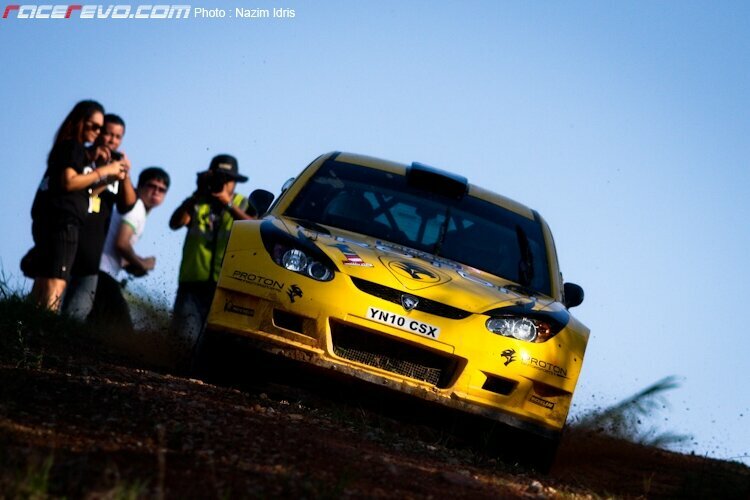 Alister McRae and Gaurav Gill in action in SS6. 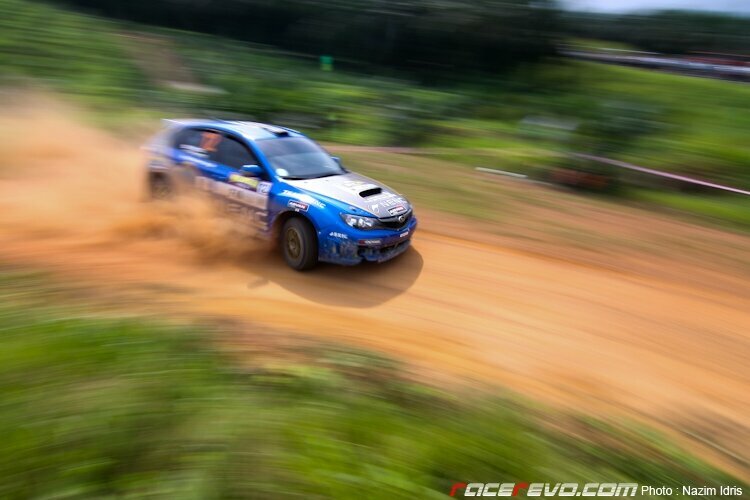 But with some good pace throughout the competition McRae showed that he is not prepared to play backup to Atkinson and for sure will be gunning for victory in upcoming rounds of Asia Pacific Rally Championship. 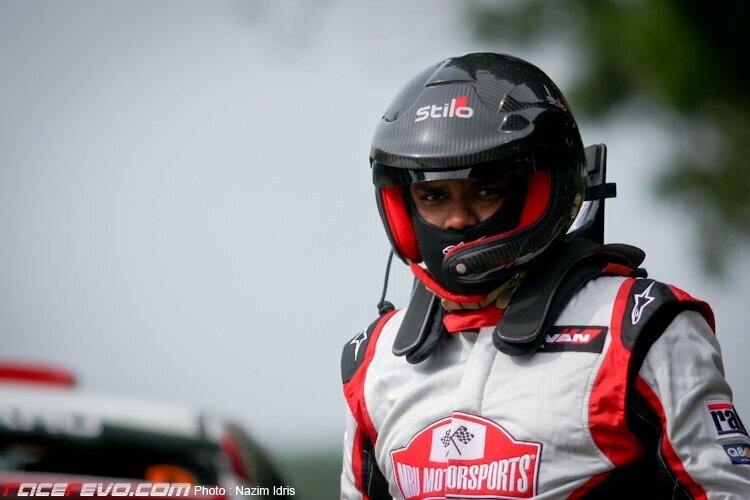 Rafiq Udhaya of MRU Motorsports were the best place Malaysian, finishing in 7th place after a gearbox problem on the first day relegated him down the pecking order. The subsequent repairs made to his car meant that he incurred a 4’30.0s penalty. But on Sunday he managed to get the car going again, improved his time considerably and could have finish 5th if not for the penalty. 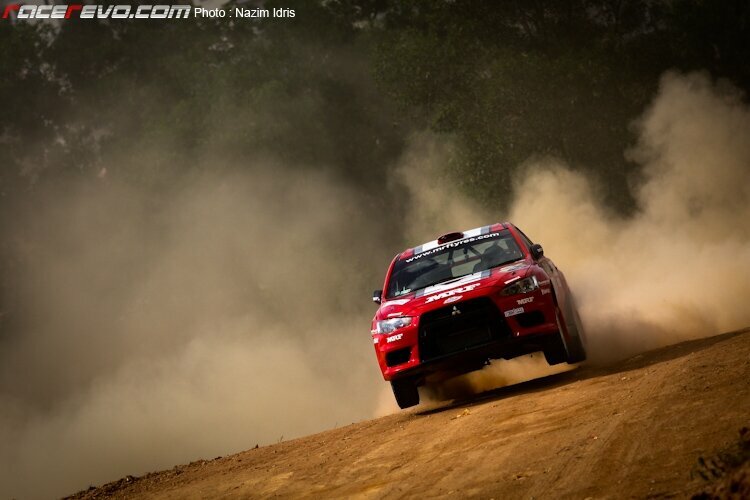 One can be certain that the current Malaysia rally champion will bounce back come the second round of Malaysian Rally Championship (MRC) in Perlis. 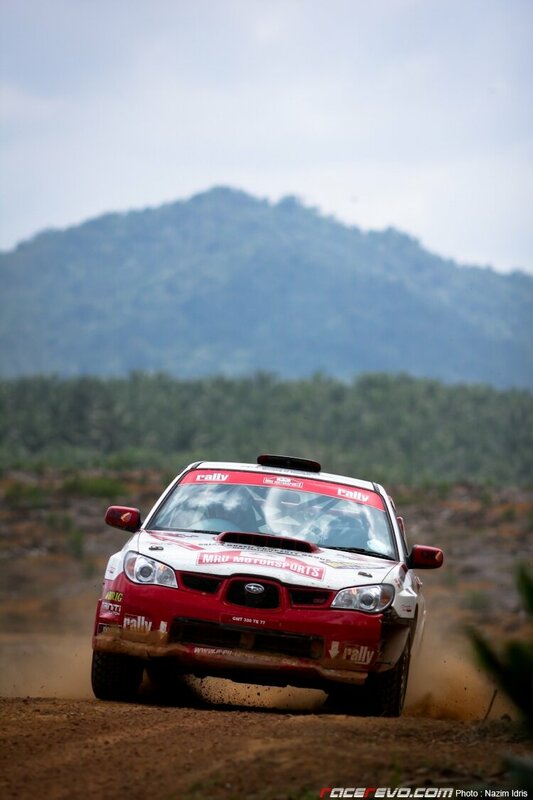 Hatano crossed the line in a creditable 5th position after an impressive run in his Subaru Impreza. With the help of season campaigners Douglas Pickering, he managed the rally course well and on occasion challenging for the podium. 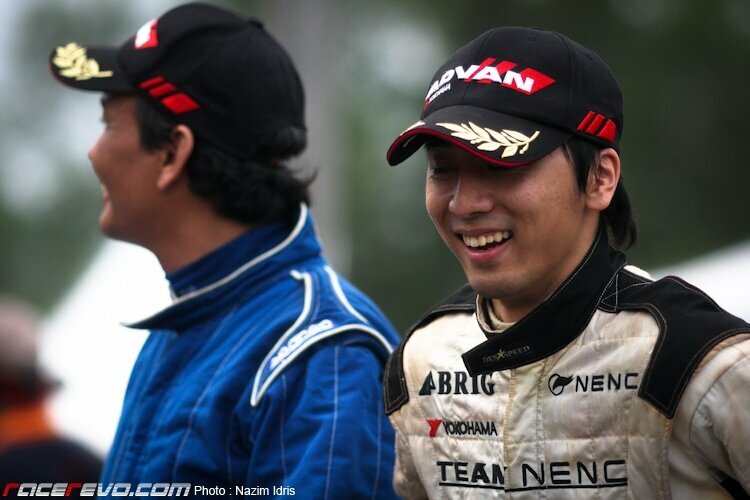 He will surely be the man to watch when APRC touchdown on his home soil in Rally of Hokkaido, Japan later this year. 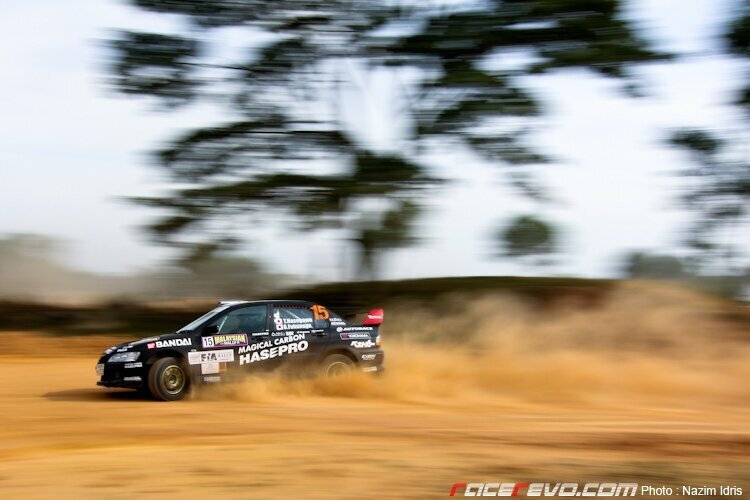 Another Japanese, Tomohide Hasegawa in his Hasepro Rally Team’s Mitsubihi Evo IX crossed the finish line in 10th spot after struggling with grip throughout the competition. 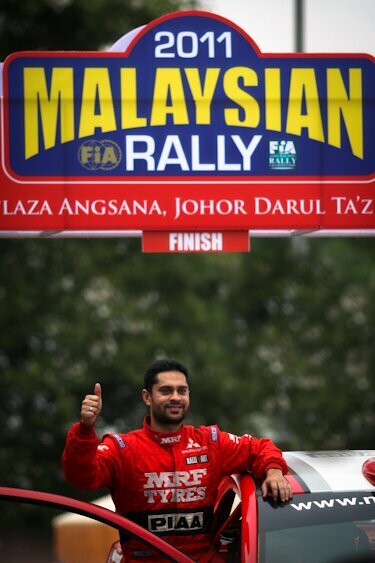 Ahead of both Rafiq and Hatano in the standing was veteran Brian Green, a former winner here in Malaysia. 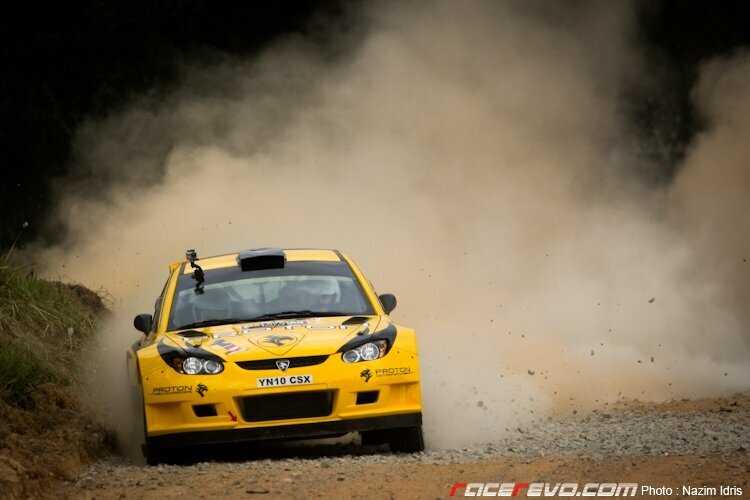 He finished the rally in 4th spot in the Subaru Impreza with MRU Motorsports’s livery. 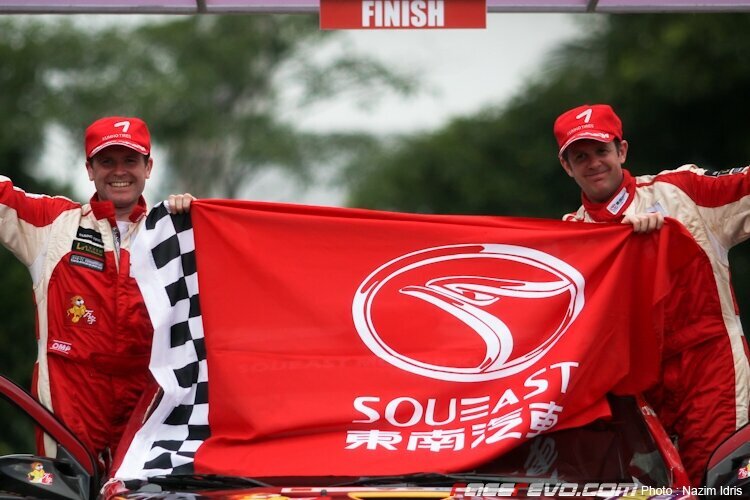 Meanwhile China’s Fan Fan of Soueast Motor Kumho Team came in 6th overall, upstaging his more illustrious teammate, 3-time British rally champion Mark Higgins. 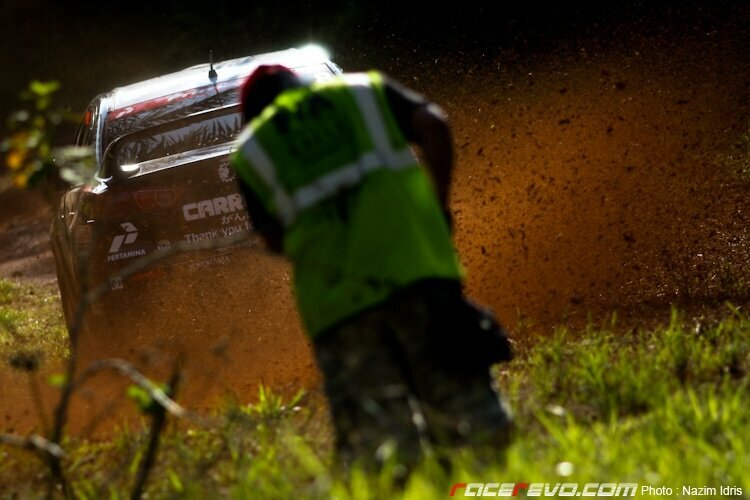 Higgins and co-driver Ieuan Thomas during the passing-off of the APRC participants. 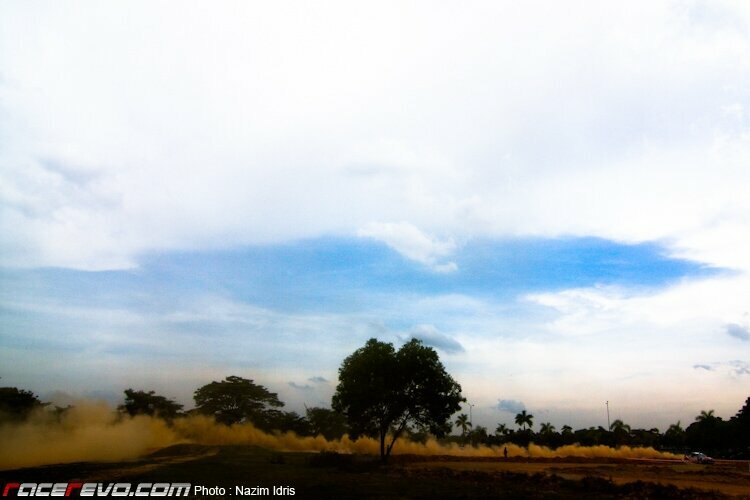 Higgins participation in this year’s Malaysian Rally lasted only 2 stages after his car rolled-over in SS3. Cody Crocker of GSR Pennzoil Racing Team also suffers a similar fate when his car run off course and fall into a ditch on the very first stage. 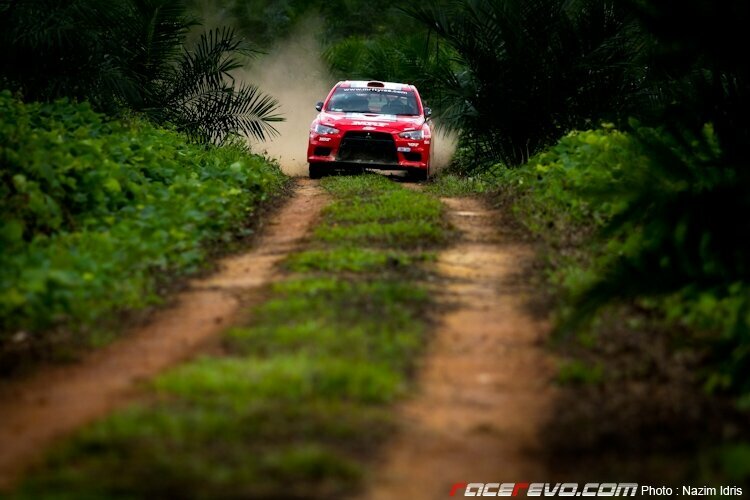 After one year hiatus the 4-time APRC Champion clearly need some time to rediscover his rallying midas touch, maybe some of them will be unleashed when he competes in Perlis for the MRC. 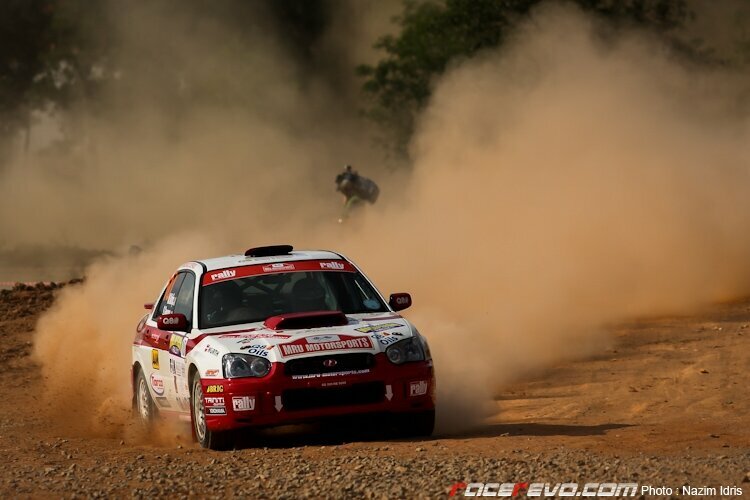 Pertamina Cusco Racing promising early starts was thwarted on Saturday when both their entry had to retire from the race. 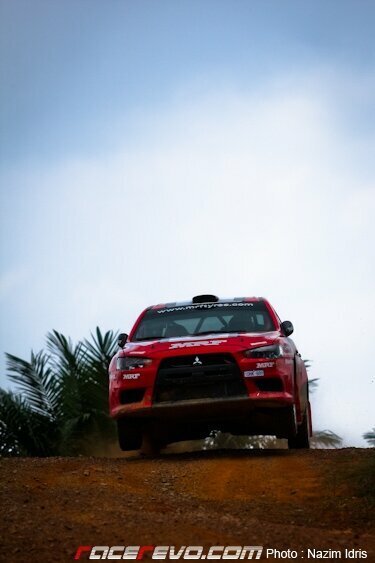 Indonesia’s Rifat Sungkar was in the running for the lead when his car was withdrawn from the competition after running out of fuel while heading back to the service centre. 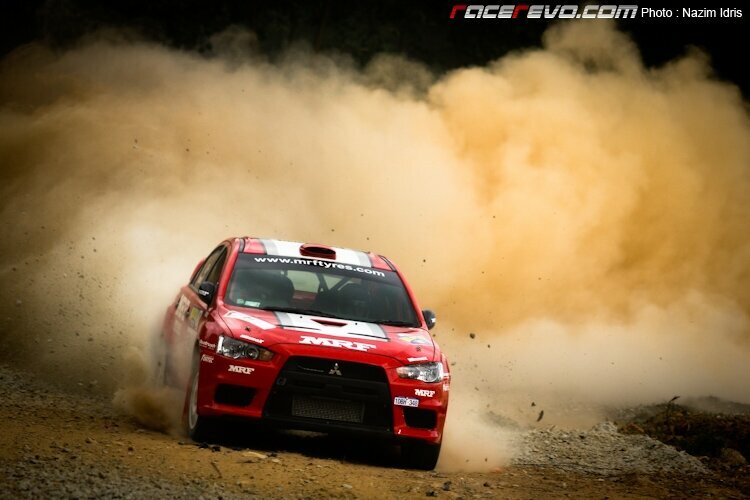 His teammate Yuya Sumiyama also going strong in the early stages, but his Mitsubishi Evo crashed on SS3 – putting him out of contention. 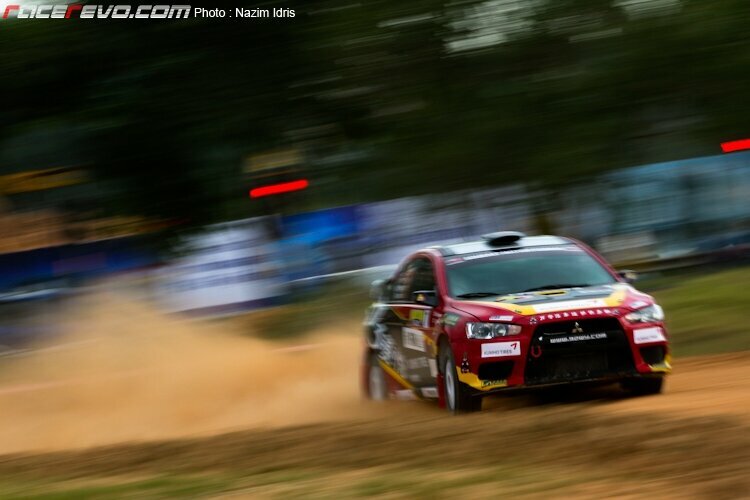 Pertamina Cusco Racing’s crew getting some fuel into Rifat Sungkar’s Mitsubishi Evo X. 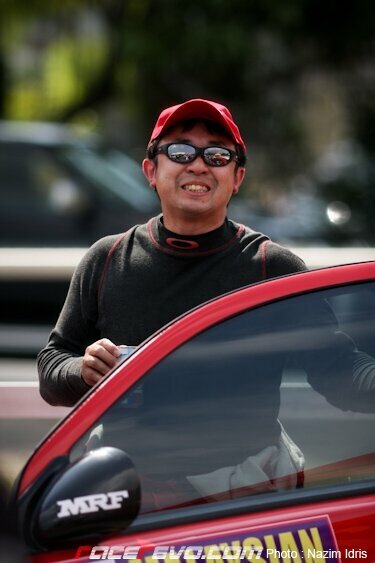 Luck was not with last year’s winner and defending APRC champion Katsu Taguchi as he too was forced out of the rally when he ran into a huge rock, damaging his front wheel and suspension. 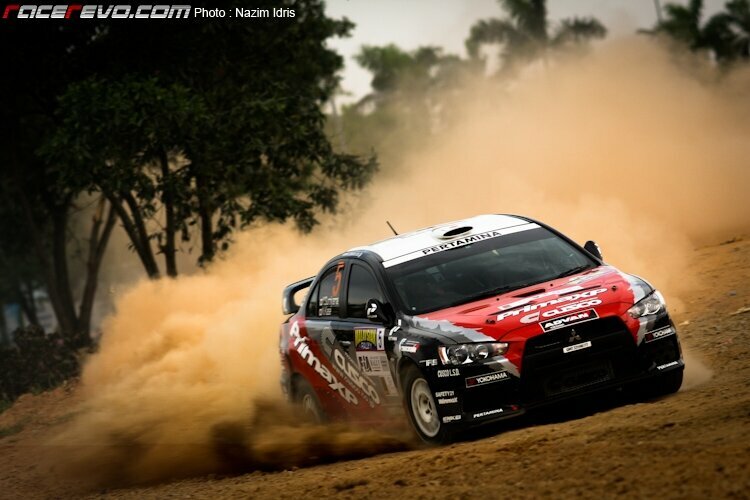 Gaurav Gill and Katsu Taguchi of Team MRF.